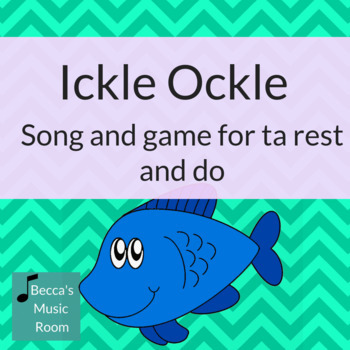 Ickle Ockle is a really fun song and game to teach ta rest or do. 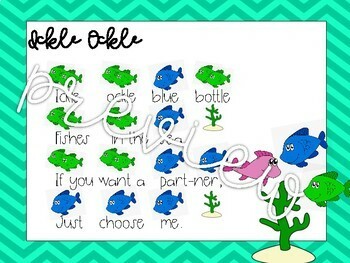 This lesson is extremely thourough, and there are many different activities. 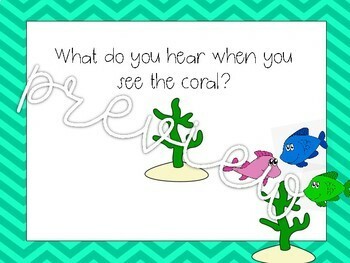 Because it can be used for ta rest or do, this song can be used to teach elementary music to first grade or second grade. 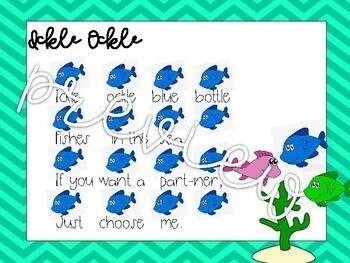 This lesson include a lesson plan, directions for the game, a powerpoint to introduce either ta rest or do, solfege cards to match the song, and fish cards with solfege patterns on them to practice sol, mi, la or sol, mi, la, do.